Dreaming of new carpet in your Lilburn home? Our Lilburn carpet installation specialists can transform your home with a beautiful and durable carpet, professionally installed by our meticulous carpet installers. Clean Scene Pro has been installing carpet in Lilburn, Georgia for more than 13 years. At Clean Scene Pro, we've been installing carpet for Lilburn, GA customers for more than 13 years. Clean Scene Pro handles all aspects of your Lilburn carpeting installation, including debris removal and furniture replacement. Call (678) 203-1929 to speak with one of our Lilburn carpeting installers. Beautiful carpets, professionally installed in Lilburn, GA. 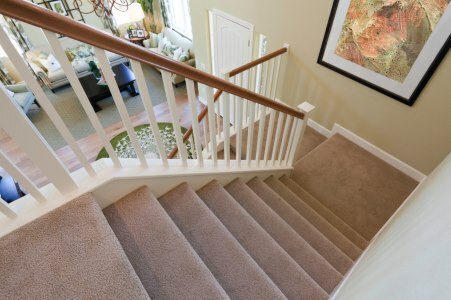 Whether you're looking to install wall-to-wall carpeting, carpet for just one room, stair runners, or indoor/outdoor carpeting for a 3-season room, Clean Scene Pro has an ideal carpet solution. Call (678) 203-1929 to speak with one of our interior designers for help with color and style selection. Imagine what a new carpet would do for your Lilburn home or business. 5★★★★★ - "We just had Ken Randall to our home for two jobs, one a carpet repair and clean and refinish our wood floors. Ken was very professional and knowledgeable, both jobs came out perfect. I will be using his services again and again and I do not hesitate in recommending him, and his prices are reasonable." 5★★★★★ - "Thanks Ken Randall for your great job. The carpet looks different." 5★★★★★ - "My husband and I had an excellent experience and would recommend them to anyone! Ken and his wife, Maggie, are top notch! We were provided excellent customer service form start to finish. Our carpets needed major stretching and cleaning and they now look brand new! We are extremely pleased. Excellent service for a great price!" 5★★★★★ - "Ken did a great job on my carpets! Was on time, and very professional. Very detailed also! I recommend him to everyone!" 5★★★★★ - "Needed my carpets cleaned and Ken did a great job! Will definitely call AGAIN!" 5★★★★★ - "Had the carpets cleaned for my MOM! Ken did a great job! He was on time, very polite and professional. Great price also! My Mom was very surprised and pleased when she saw the carpets!" 5★★★★★ - "After 18 years of very low traffic in our upstairs bedrooms, our carpets were full of dust and carbon from air drafts under the closet doors and around baseboards. I didn’t think it would be possible for it to look just “Ok” to sell our home. After Mr. Ken finished, I could not believe that my carpets look NEW!! I was referred by my realtor to use Clean Scene. I thank Ashton with K/W but really thank Ken Randall. If I could give more than 5 stars I would." 5★★★★★ - "My carpets had waves and were in desperate need of cleaning. I didn’t think it was possible to accomplish this. Ken went above and beyond to get the job done. I wish I could find more words to say how satisfied we are with the job from CleanScene Pro. 5 stars or 5 diamonds. Thanks so much. Smiths in Buckhead." 5★★★★★ - "Excellent service. Quick and professional. Ken restretched my bedroom carpet. Looks great." 5 ★★★★★ - "Had my window treatment cleaned in my 2 story family it was great to have them cleaned on site. I also had my carpet in the family room cleaned. Ken did a awesome job. I will use there carpet cleaning service from now. I've recommended him to my neighbors. The carpet was dry by the evening. Definitely recommend this company. I also have scheduled power washing with him. Very competitive pricing"
5★★★★★ - "Great job, they were on time and very professional at a reasonable fair price." 5★★★★★ - "Ken did a great job and exceeded my expectations. He is meticulous and very skilled in his profession. I will call this company again and recommend it to others." 5★★★★★ - "They had a busy day and had to change out appointment and it took a little longer then they expected but overall we were very pleased with their work and their value." 5★★★★★ - "Top notch work at a great price. Will use this company every time and give the highest of recommendation to anyone needing thei services." 5★★★★★ - "Excellent value and customer service." 5★★★★★ - "Clean Scene Pro did an outstanding job repairing and cleaning my carpet at a reasonable price." 5★★★★★ - "Did good job. Took a bit longer than expected - but we diod have a lot of pine straw and leaves in the gutters. Very pleased with results." 5★★★★★ - "I was called the day before to reconfirm the time of appt. He showed up on time and did a great job on the carpet re-stretch job. I definitely recommend him." 5★★★★★ - "Very friendly. They came on time, job was done perfectly. Really nice people. Glad I called Clean Scene Pro." 5★★★★★ - "They were very prompt and professional. Ken was able to salvage carpet that I thought would need replacing. Saved me a lot of money. Will use them again for carpet and any other deep cleaning." 5★★★★★ - "Did a great job and would use them again and recommend them." 5★★★★★ - "They were first to call within minutes of my placing the order for work. They were able to actually come early and did a great job. I'm impressed. Will definitely consider them for other jobs in the future." 5★★★★★ - "They did a wonderful job of cleaning the dirt and pollen from my screened porch carpet and furniture. And, in addition, they cleaned all the accessories and wiped down the entire area. It looks brand new." 5★★★★★ - "They did a great job. I would use them again." 5★★★★★ - "Clean Scene Pro did an excellent job stretching and cleaning my carpet. He was very meticulous and cleaned the carpet several times. The stretching was fantastic and the carpet looked new once he finished with the job. I would highly recommend him." 5★★★★★ - "Great service at an affordable price." 5★★★★★ - "Gutters were plugged at one end even with gutter guards. They brought high pressure washer and 24 ft ladder and washed gutters inside and out. Excellent work."